In January 2016, SolarAid adopted the Global Off-Grid Lighting Association (GOGLA) ‘Standardised Impact Metrics for the Off-Grid Energy Sector’. Aligning to a harmonised industry standard for measuring and reporting on social impact within the energy sector will ensure consistent and reliable impact results, as well as the opportunity to strengthen the work of the sector as a whole through aggregating impact and showcasing the difference access to energy makes to a person’s life. Solar light manufacturers state the lifespan of a solar light is up to 5 years, sometimes longer for larger more expensive products. Because this is a difficult indicator to measure, and even the World Bank and IFC’s Lighting Global Technical and Quality Assurance tests do not track this, the GOGLA metrics ensure that we are being more cautious about product lifetime in rural Africa and not over-claiming impact. Therefore, we calculate the lifespan at 150% of the warranty period. This results in an average lifespan of 3 years for the solar lights we sell. Through using the GOGLA metrics we also include a discount ratio of 3% for solar lights that may be broken or not in use and we include a discount rate of 10% for repeated sales when required. Additional solar lights being used in homes which already have solar will still impact the household, but possibly not to the same extent, and of course we don’t want to double count people reached. However, the standardised GOGLA metrics calculate a cross continent average household size of 5 people. Our own extensive research indicates a slightly higher household size of 6.2 averaged out over the countries we operate in. As we have sold lights in Tanzania, Uganda, Malawi, Zambia and Kenya exclusively we have taken the decision to use our own research data, rather than the pan African GOGLA data. Using this as the basis for the calculation, we are able to calculate that there are around 10 million people currently accessing our solar lights. If we were to use the GOGLA metrics, we would calculate that around 6.6 million people are currently accessing our solar lights. We feel that our own data provides a more accurate reflection. 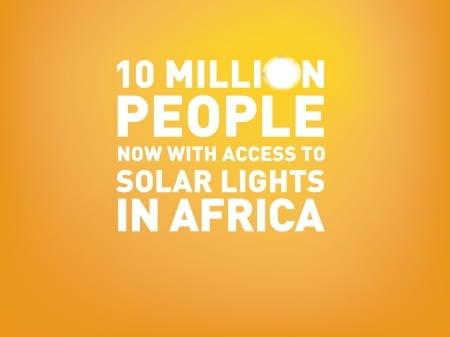 Around 10 million people benefiting from SunnyMoney solar lights. Using our own research data we calculate that there are around 6.2 people in the average household in the countries where these sales took place. Multiplied by the number of lights we’ve sold in the last three years (and therefore still in use) minus the relevant discounts, we get to a figure somewhere between 9 and 10 million. 4.3 million people living below the poverty line benefiting from SunnyMoney solar lights. This is not a GOGLA metric but uses SolarAid data and is based on income level and household size of solar light users interviewed, and uses the World Bank $1.25 per person per day poverty line, drawing on income level of solar light users the research team have interviewed. $350 million (£226 million) is saved by families reducing spending on lighting alternatives like kerosene for lanterns, batteries for torches, and candles, over the lifetime of the light. This is calculated based on average household spending on lighting of $79.19 prior to solar light use, as estimated in the GOGLA metrics, and multiplied by the conservative 3 year lifetime of the light, then multiplied by the replacement ratio i.e. for every solar light sold, one kerosene lamp is packed away, then minus the cost of the light. Although we sell more than one product, we have adopted the warranty period as 2 years – the predominant period for the solar lights we sell. 1.53 billion extra study hours for children over the lifetime of the solar light. This is not a GOGLA metric and is based on average hours of study before and after solar light ownership from interviews with solar light users, multiplied by the average number of school-going children per household and multiplied by the lifetime of the light (1.5 x 2 year product warranty = 3 years). In addition, it only uses a 50% rate of homework per year i.e. using hours per day multiplied by 5 days of the week multiplied by 26 weeks of the year to take account school holidays. 1.52 million tonnes of CO2 and CO2 equivalent (black carbon) averted. This calculation multiplies total number of lights sold within product lifespan (with a 3% discount for loss) with the GOGLA metric estimate of 370kg per year CO2 and CO2 equivalent (black carbon) emissions per kerosene lantern, multiplied by a replacement ratio of solar for kerosene lantern of 1:1, multiplied by the lifetime of the light (1.5 x 2 year product warranty = 3 years), minus total number of lights sold within product lifespan, multiplied by the cost of the light, multiplied by embodied greenhouse gas of solar products, divided by product lifetime. 3.21 million people experiencing improved health from reducing or eliminating their use of kerosene for lighting and thereby reducing indoor air pollution which contributes to respiratory diseases and other illness or allergies. This is not a GOGLA metric but is based on the proportion of interviewed solar light users who report improved health after solar light usage, multiplied by total number of lights sold within product lifespan (with a 3% discount for loss) multiplied by average household size of 5. 1.47 million kerosene lamps packed away due to replacement of use by solar lights. The replacement ratio of pico solar for kerosene lantern is 1:1. After applying a discount ratio of 3% for loss to the total number of solar light sales within product lifespan, each solar light replaces the use of one kerosene lamp. You can test out our Impact Calculator to see how this works in practice. *SolarAid has not fully adopted the GOGLA harmonised impact metrics because the metrics are designed for reporting details of specific solar products i.e. the specifications of the product are key to calculations in terms of what service they provide. 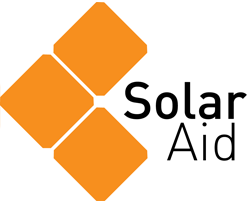 SolarAid’s sales data is aggregated from the sales of numerous solar products.